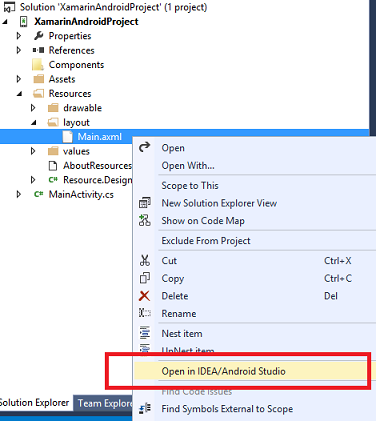 Visual Studio extension, with it you can open your .axml files (Xamarin.Android) in IntelliJ IDEA or Android Studio. 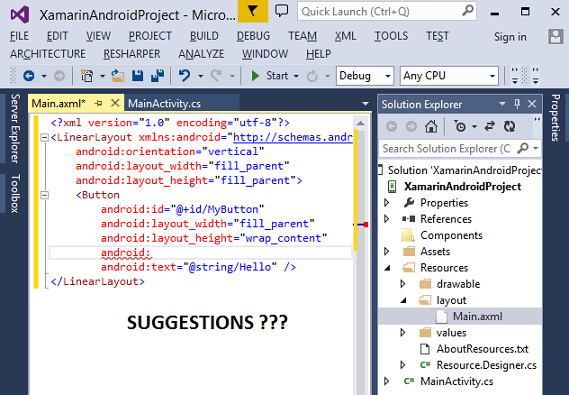 It creates a fake android project and uses resources from your Xamarin.Android project by link so every change made in Android IDE will be saved. Xamarin provides nice integration with XCode in order to design interfaces for iOS, but It doesn't do it for Android and you have to edit AXML without smart suggestions. 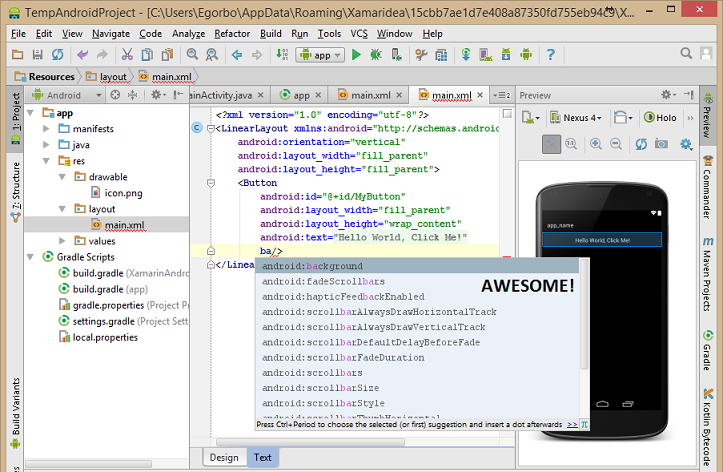 This plugin solves this problem - it allows editing .axml files (Xamarin.Android) in IntelliJ IDEA or Android Studio. It creates a fake android project and uses resources from your Xamarin.Android project by link so every change made in Android IDE will be saved. The source code is available at github.